Charley (Plummer) and his single father Ray (Fimmel) arrive in Oregon, eager for a fresh start. 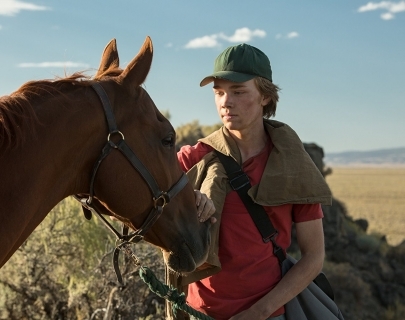 While Ray descends into turmoil, Charley finds camaraderie at a local racetrack where he lands a job caring for an ageing race horse named Lean on Pete. Pete’s gruff owner, Del (Buscemi), and seasoned jockey (Sevigny), help Charley fill the void of his father’s absence. However, when he discovers that Pete is bound for slaughter, Charley takes extreme measures to spare his new friend’s life.